The Tarot card for today is the King of Cups. Following yesterday’s card, the feel-good vibe we started the week with is continuing! 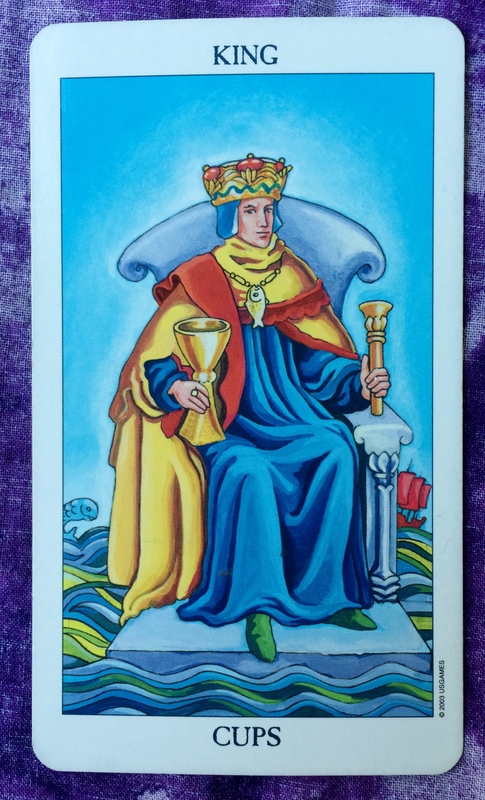 The King of Cups energy offers you have the opportunity to balance love, compassion, and nurturing (which are traditionally thought of as feminine traits) and use your so-called masculine energy to take action. In other words, take the lead in showing your love as you go through your day. Regardless of whether you are biologically a man or a woman, the lesson here is that masculine and feminine traits are within us all. Recognize all that you have inside you and all that you have to offer to the world.